Open Revolution: Your time is limited, don't waste it. When great people die before their time, it helps remind us all our time is limited, and we mourn both the loss of a hero and the loss of what they still had to contribute. Entertainers and leaders are easiest to identify in this category. People like John Lennon (40), Jack Layton (61), John F Kennedy (46), Elvis Presley (42), Martin Luther King(39), Buddy Holly (22), James Dean (24), Princess Diana (36), Janis Joplin (27), Heath Ledger (28) all had more to contribute. It's not often we see billionaire CEOs this broadly mourned, but Apple's founder and CEO Steve Jobs (who died Oct 5 at age 56) was no ordinary entrepreneur. 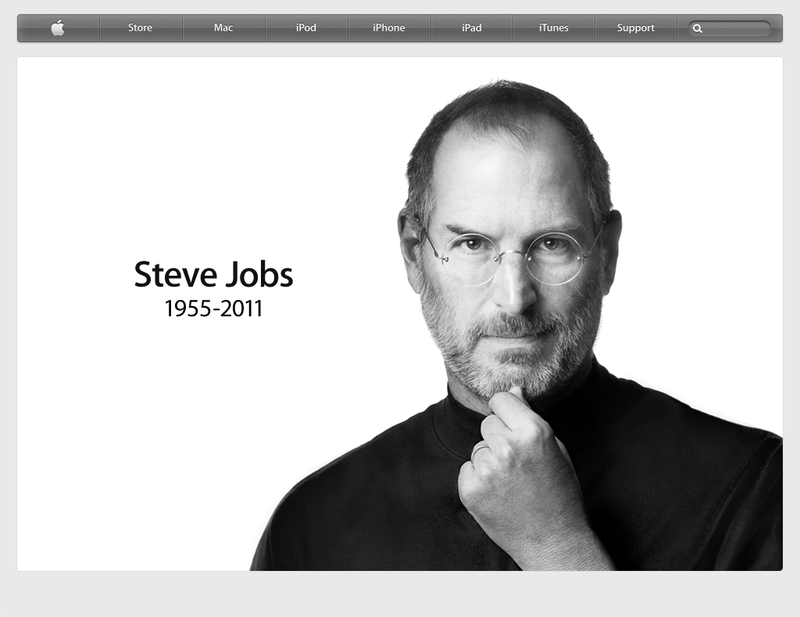 Part visionary, part showman, part perfectionist, part CEO, part Santa Claus for grown-ups, Steve set the direction for technology, bringing style, user experience, and performance to everything he touched. Apple Computer made technology user friendly, and brought two major revolutions in user interface to the market. The first was the mouse and graphical user interface, which Jobs saw at Xerox, and the second is the touchscreen, currently appearing on iPhones and iPads everywhere. Jobs was an artist, obsessed with the details. Between Pixar and Apple, both have become wildly successful and built legions of devoted fans. He predicted the future not with a crystal ball, but by inventing it and bringing us along for the ride. Fans looked forward to product announcements like they looked forward to Christmas. He nailed the big picture too: In a commencement address at Stanford in 2005 he recognized the usefulness of death as life's change agent. "Your time is limited, so don't waste it living someone else's life. … And most important, have the courage to follow your heart and intuition. They somehow already know what you truly want to become." You can find the full video on Youtube. It's worth watching, and can set the tone for an amazing life. Follow your intuition. Take action. Don't get trapped in the safety of the tried and tired. Whether or not you spend most of your time within arms reach of something Jobs had a hand in designing, his recommendations for living fully are spot on. Steve Jobs certainly had more to contribute, and we will miss his insanely great influence on the direction of technology. Thanks Steve. Originally published October 15, 2011. Loving, Hopeful and Optimistic. - Jack Layton.